I spend so much time concentrating on finding recipes for and making main dishes that I have to force myself to look for and try recipes for low-carb side dishes. It gets really old just opening up a can of green beans or turnip greens and heating them up in the microwave when I’ve spent a lot of time making something really yummy like lamb or Chicken Cordon Bleu. So when I did my meal planning for this week, I picked several new side-dish recipes to try, and to share as well. Preheat oven to 350°F. Line baking sheet with foil. Set cooling rack on it and spray with nonstick cooking spray. Set aside. Bake 8 to 10 minutes–until spears are tender but not soggy. Set oven to broil and broil about 3 minutes, until topping is crisp and golden brown. Serve immediately. I was only able to eat half of this, along with the lamb I posted the recipe for yesterday, and the zucchini I used was around 7 ounces. 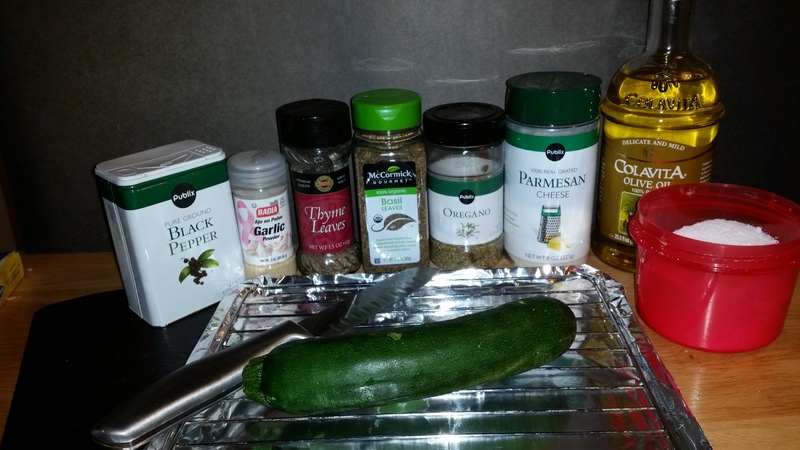 The net carbs for the zucchini was about 4.7gnc, and the dry ingredients add about 0.4gnc. So I counted half of the finished product as 2.5g net carbs. I’m the same way! 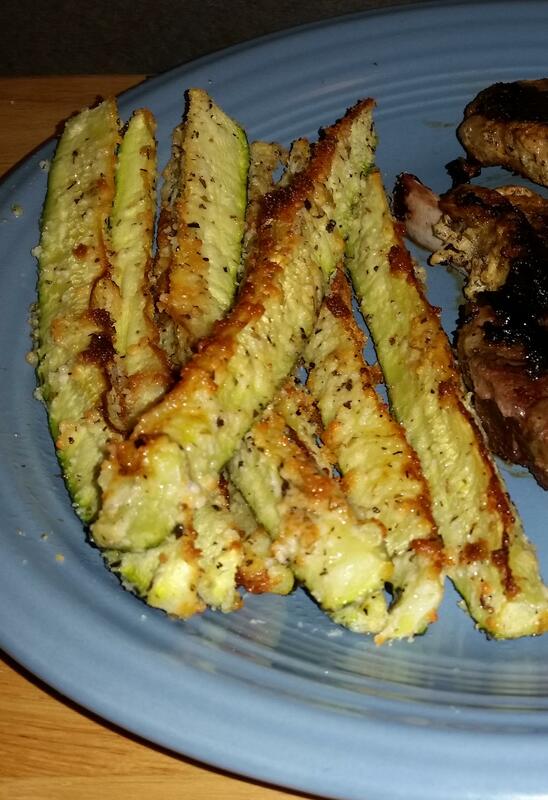 My side dishes get totally lost in the shuffle- they deserve the spotlight once in a while! It’s challenging to find sides that aren’t loaded with carbs! Thanks for sharing! If I can find enough really good recipes, I may challenge myself to try to do a vegetarian low-carb week sometime this summer when all the farmer’s markets have such wonderful produce.